Your daily cup of coffee may be doing more for you than providing that early-morning pick-me-up. The health impact of coffee has long been a controversial topic, with advocates touting its antioxidant activity and brain-boosting ability, and detractors detailing downsides such as insomnia,indigestion and an increased heart rate and blood pressure. But the latest wave of scientific evidence brings a wealth of good news for coffee lovers. Here are ten reasons drinking coffee may be healthier for you than you thought. 1. Coffee is a potent source of healthful antioxidants. In fact, coffee shows more antioxidant activity than green tea and cocoa, two antioxidant superstars. Scientists have identified approximately 1,000 antioxidants in unprocessed coffee beans, and hundreds more develop during the roasting process. Numerous studies have cited coffee as a major–and in some cases, the primary–dietary source of antioxidants for its subjects. 2. Caffeine provides a short-term memory boost. How it works: Caffeine appears to affect the particular areas of the brain responsible for memory and concentration, providing a boost to short-term memory, although it’s not clear how long the effect lasts or how it may vary from person to person. 3. Coffee may help protect against cognitive decline. 4. Coffee is healthy for your heart. A landmark Dutch study, which analyzed data from more than 37,000 people over a period of 13 years, found that moderate coffee drinkers (who consumed between two to four cups daily) had a 20 percent lower risk of heart disease as compared to heavy or light coffee drinkers, and nondrinkers. How it works: There is some evidence that coffee may support heart health by protecting against arterial damage caused by inflammation. 5. Coffee may help curb certain cancers. How it works: Polyphenols, antioxidant phytochemicals found in coffee, have demonstrated anticarcinogenic properties in several studies and are thought to help reduce the inflammation that could be responsible for some tumors. 6. Coffee may lessen your risk of developing type 2 diabetes. Note: There is some evidence that coffee decreases the sensitivity of muscle cells to the effects of insulin, which might impair the metabolism of sugar and raise blood sugar levels. The significance of this finding, however, is still unclear. 7. Your liver loves coffee. It’s true: In addition to lowering the risk of liver cancer, coffee consumption has been linked to a lower incidence of cirrhosis, especially alcoholic cirrhosis. A study in the Archives of Internal Medicine demonstrated an inverse correlation between increased coffee consumption and a decreased risk of cirrhosis–a 20 percent reduction for each cup consumed (up to four cups). How it works: Scientists found an inverse relationship between coffee drinking and blood levels of liver enzymes. Elevated levels of liver enzymes typically reflect inflammation and damage to the liver. The more coffee subjects drank, the lower their levels of enzymes. 8. Coffee can enhance exercise performance. 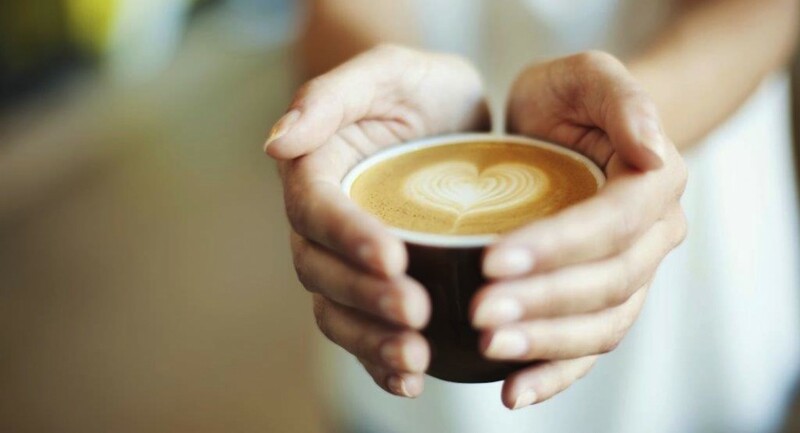 We’ve been conditioned to believe that caffeine is dehydrating, one of the primary reasons why fitness experts recommend nixing coffee pre- and post-workout. However, recent research suggests that moderate caffeine consumption–up to about 500 mg, or about 5 cups per day–doesn’t dehydrate exercisers enough to interfere with their workout. In addition, coffee helps battle fatigue, enabling you to exercise longer. How it works: Caffeine is a performance and endurance enhancer; not only does it fight fatigue, but it also strengthens muscle contraction, reduces the exerciser’s perception of pain, and increases fatty acids in the blood, which supports endurance. Multiple studies have linked coffee drinking to lower rates of depression in both men and women. In several studies, the data suggested an inverse relationship between coffee consumption and depression: in other words, heavy coffee drinkers seemed to have the lowest risk (up to 20 percent) of depression. Read: Coffee: Will a cup a day help keep the doctor away? How it works: Researchers aren’t yet sure how coffee seems to stave off depression, but it is known that caffeine activates neurotransmitters that control mood, including dopamine and serotonin. 10. Coffee guards against gout. How it works: According to the Nurses’ Health Study, coffee’s antioxidant properties may decrease the risk of gout by decreasing insulin, which in turn lowers uric acid levels (high concentrations of uric acid can cause gout). The potential health benefits of drinking coffee are exciting news, but that doesn’t mean more is better. For some people, coffee can cause irritability, nervousness or anxiety in high doses, and it can also impact sleep quality and cause insomnia. In people with hypertension, coffee consumption does transiently raise their blood pressure–although for no more than several hours–but no correlation has been found between coffee drinking and long-term increases in blood pressure or the incidence of cardiovascular disease in patients with pre-existing hypertension. Your best bet: Skip the fat-filled, sugar-laden coffeehouse beverages and order a basic black coffee. Alternatively, switch to skim milk or unsweetened soy or nut milk. Editor’s Note: As much as we all love coffee, it’s important to recognize that even the most rigorous scientific studies are subject to bias–especially ones that examine something as beloved and economically important as coffee–so, by all means, enjoy your morning habit, but interpret these findings with caution.